Genesis or Divi? – How To Choose Between The Two! Divi and the Genesis Framework are two of the most popular options available to WordPress users in the market for a new theme. 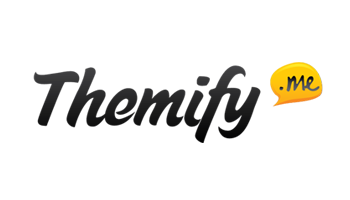 Their creators StudioPress (Genesis) and Elegant Themes (Divi) have each taken alternative approaches to theme design — resulting in two products that are actually really quite different from each other. When it comes to deciding which one is the best choice for your website, the outcome is going to depend on many factors, and it’s their differences that will help you decide which is the best for your needs. If you’re hoping for a simple showdown between these two best-selling themes with one being declared the all out winner however, then you might be in for a bit of a disappointment — because it’s all really a bit more complicated than that. Instead, I’ll be comparing and contrasting what each has to offer — and thereby, hopefully, helping you make your own mind up which is best one for your website. Divi and Genesis are actually really very different WordPress themes indeed (within the parameters of what makes a WordPress theme a theme). It makes sense to compare them however, since they’re perhaps two of the most prominent options you’ll come across when searching for a theme. To get started, let’s take a look at some of the most basic differences between the two. When is a Theme a Framework? Genesis is actually a theme framework, upon which child themes are installed. This means that, as well as installing the core Genesis Framework theme on your site, you can (and indeed generally speaking should) also upload a child theme to control the appearance of your site — including the design and layout. The framework will take care of the underlying functionality. Thanks to the popularity of the Genesis Framework, there is a large library of child themes to choose from — with each different from the next. In this article, when we talk about Genesis, we are in fact referring to the framework and its many child themes. Divi, on the other hand, is a more self-contained theme. Although there are child themes available, in most cases you’ll simply upload Divi to your WordPress website and start building. This doesn’t mean you only get one look and feel for your site when choosing Divi, though, as we’ll explain shortly. Now, I know the templates available for Divi aren’t child themes, but, since they allow you to change the appearance of your site in a similar way to that of Genesis child themes, it’s worth discussing these two features together. After installing the Genesis Framework on your WordPress website, you can either use the framework as your theme or upload a child theme. These child themes vary in appearance and features, making it easy to change the look and feel of your website without overwriting many of your settings or having to do a major theme migration. While there is a small but growing number of child themes for Divi available for download, the Divi theme package includes more than 20 templates or layouts that can be applied to your site. Although they work differently from true child themes, these templates do make it easy to give your site a new look and feel, or add the kind of pre-built page layouts that you might find with a child theme. Genesis offers greater choice in this department, but, since Divi is more of a DIY theme — giving non-coders the ability to build their own custom designs — it’s important to consider the next section when it comes to deciding which theme will help you deliver the type of website you want. The Genesis Framework has become popular with WordPress developers who are looking for a reliable and flexible codebase for their custom website builds. By creating a child theme for the framework, designers are able to get a head start on the development process and take advantage of the underlying code, features, and functionality of the framework to apply their own custom designs and additional features. This is great if you’re a coder with an eye for design; if you’re not, then what you see from the framework and your chosen child theme is what you’ll get (for the most part). Some child themes ship with a small selection of colour schemes that you can choose from, while others include a few different layout options, but there isn’t much code-free customisation on offer from Genesis. Divi has been built to liberate non-coders from the limitations of their lack of development skills. 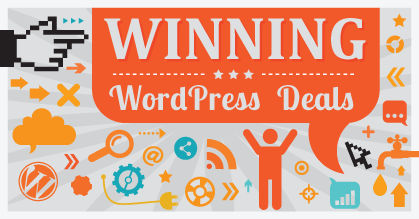 This is achieved via the Divi builder, a drag-and-drop tool that’s integrated into the theme. With the Divi drag-and-drop visual editor, you can quickly create custom layouts for your website through an intuitive user interface. 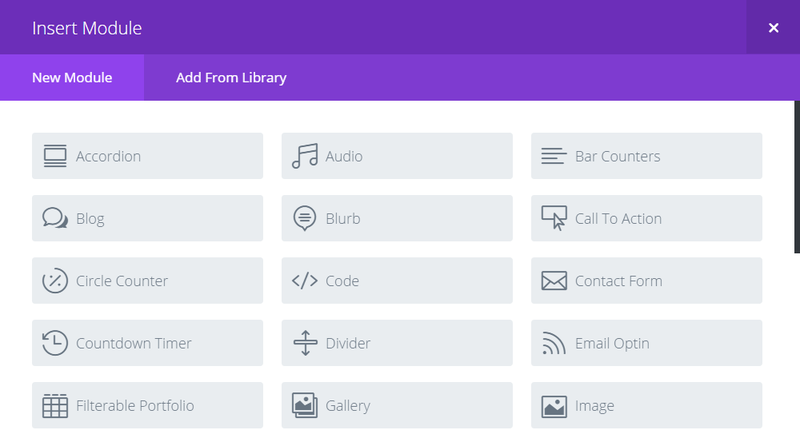 Furthermore, the Divi builder includes a great library of modules that can be inserted into your layouts. You can add new functionality to your website without having to touch any code or rely on third-party plugins. The Divi builder gives you a lot of relative control over how your site looks in terms of colours and other visual property settings. This is great because, thanks to the colour coordination of the modules, even if you’re not a natural designer you should still be able to produce a website that’s easy on the eye. When it comes to website customisation criteria, if you’re a coder — or are willing to learn — then Genesis could be the better option. You get a robust platform for your theme, with the ability to create something unique. However, if you’d rather work through a visual interface while still having a great deal of control over how your website looks, Divi and its integrated builder tool can’t be beaten. When it comes to features and functionality, Genesis and its child themes don’t really add very many to those that are already provided by a standard WordPress installation. You might get some additional sidebar and widget locations, and some SEO fields, but overall it’s pretty much a stock WordPress installation. The benefit of this approach is that your Genesis-powered website will load quickly, and the simplicity should result in a more user-friendly dashboard area to administrate — not to mention a faster site setup time. Divi takes an almost opposite approach and comes packed with features. 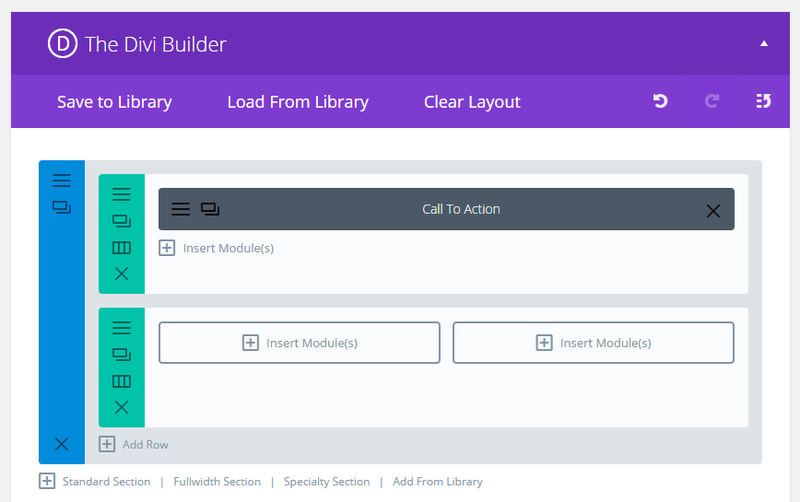 In addition to the Divi Builder tool, there’s a varied selection of modules that can be added to your site. These modules include items such as sliders, pricing tables, videos, buttons, and eCommerce elements, as well as plenty of other features and functionality. Of course, if you want to add more features and functionality to your WordPress site, neither theme prohibits you from installing additional plugins. If you prefer a minimal or piecemeal approach to theme design and would rather add more features as and when you need them, Genesis will be more to your liking; if you want a more self-contained product that is packed with options right out of the box, you’ll be better suited to Divi. Since Divi — with its builder tool, list of features and a wealth of modules that can be inserted into your posts and pages — is a more self-contained package, it hasn’t really grown an ecosystem of plugins or extensions around it. Genesis, on the other hand, is particularly well served by third-party plugins and tools. This includes the suite of tools available from Cobalt Apps and the Genesis Design Palette Pro plugin. Cobalt Apps has created a plugin and child theme for the Genesis Framework that aims to make the process of customising your website much easier. This includes tools for helping developers to code more efficiently, as well as a user-friendly front-end editor that enables non-coders to customise the appearance of their chosen child theme. The Design Palette Pro plugin also provides a set of visual controls for customising the colours and other visual properties of your site. Furthermore, because Genesis has such a large userbase and does things slightly differently from regular themes, a number of free third-party plugins have been developed specifically for this framework. All in all, while both Divi and Genesis will work with any quality WordPress plugin, Genesis users do get access to a selection of purpose-built extensions. That said, despite the fact that Divi has lots of extra functionality included in its package, its appeal certainly isn’t diminished by this lack of add-ons. Genesis has been around for a few more years than Divi, so it’s understandable that a larger community has developed around it. What’s more, its coder-friendly nature has inspired the creation of a number of third-party, developer-focused resources where Genesis code and tips are shared. 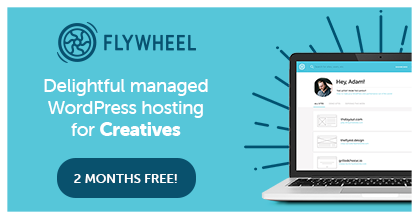 Should have you an issue, there’s also the official user support forums provided by StudioPress — and that’s on top of the vast number of freelance Genesis developers out there offering their services for a fee. Divi is a bit more insular in this regard. There are Elegant Themes support forums where you can ask questions of helpdesk staff and the wider community, and pick up advice on making the most of the themes, but, short of this, Divi hasn’t got a community or ecosystem that compares with that of Genesis. This seems to be changing, though. The Genesis Framework is available for $59.95, or with a child theme from the StudioPress collection for $99.95. Third-party child themes from various sources that will work alongside the framework can also be bought. Power users might be interested in the Pro Plus All-Theme Package, which includes access to every theme available from StudioPress, and any future releases. 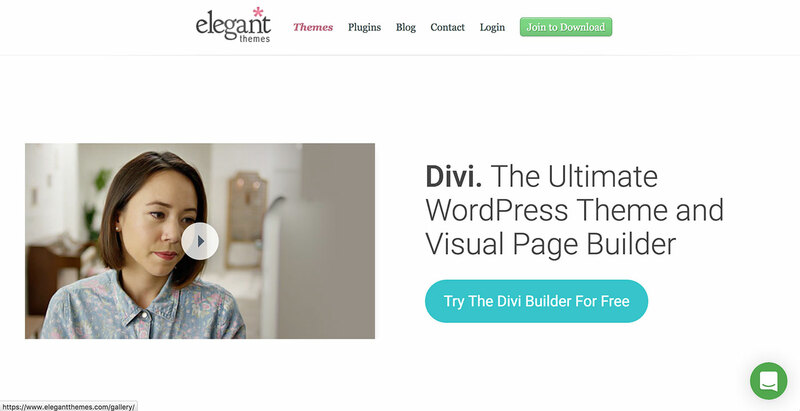 When it comes to Divi, getting your hands on this theme requires joining the Elegant Themes club. The lowest-priced option is the $69 personal plan, which includes not only Divi, but also a year’s access to the 86 other themes produced so far, and any future releases. Another membership option for buying Divi is the $89 developer plan. As well as the 87 themes on offer, this option also includes a year’s access to all of the Elegant Themes plugins, including the impressive Bloom and Monarch extensions. If you want to go even further and have lifetime access to all current and future Elegant Themes products, you can pay a one-time fee of $249. Both Divi and Genesis represent great value for money, but, while the 86 themes that are included with Divi might sound impressive, the truth is the rest of the Elegant Themes offerings are starting to look rather dated. Divi is the flagship theme, and will probably be the only one you end up using from the collection. As you’ve probably realised, there is no clear winner here. 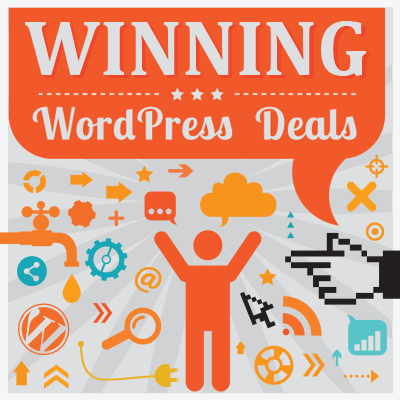 Both options have their individual strengths and weaknesses, and each will appeal to different types of WordPress users. If you’re not a coder, and you’ve found a child theme for the Genesis Framework that meets your needs, then there’s no reason not to make that purchase. However, it’s important to understand that you’ll have little opportunity to customise your website without digging into the code, purchasing a third-party plugin, or hiring a developer. On the other hand, if you are a coder, choosing the Genesis Framework makes it much easier to either create your own child theme from scratch or customise an existing one to build the bespoke website you need. If you’re not a coder, but would still like to be able to customise the appearance of your website in detail — including changing fonts, colours, layouts, and a whole lot more — then Divi is by far the better option. The range of templates, which can be mixed and matched — not to mention the intuitive drag-and-drop builder tool and its selection of modules — makes this a great theme for building the kind of custom website you wouldn’t otherwise be able to put together. With similar pricing plans, it really comes down to which theme has the features and design you’re looking for — or based on your current level of development skills, the website you’d be able to build. Have you used either Genesis or Divi? Which one do you prefer and do you agree with my assessment? When, and to whom, would you recommend each product? There’s another point to consider, and that is active development. Elegant Themes has really been working to improve and enhance Divi. On the other hand, StudioPress has rarely added new themes to the Pro Plus All-Theme package in the past year. There was a recent update to Genesis, but even those have been very rare over the past couple of years. I think StudioPress has its attention diverted from its products and is just coasting. I’ve owned both platforms for a few years now and used products from both providers heavily. Although I’m not using Divi right now, I’d give it much more consideration for a new project compared to StudioPress because I see activity and development from Elegant Themes, and not so much from StudioPress. I have both. I love Divi for how easy it is to put together varied pages, the drag and drop thing is just so useful and has great options. However I do find the page load speeds seem to suffer on my sites running Divi, and the code it generates doesn’t seem all that optimised for SEO. I love Genesis more for its optimisation even if it’s not as easy to do clever layouts. I think if you know enough code to use Genesis, then you’d be better off with that. But for people without the option of coding, Divi is a superb option.  If you’re just running a blog though, especially a monetised niche site or similar, I think Genesis plus a 3rd party child theme is probably the way to go. Yes, in most cases its best to keep it simple and that is what Genesis and most of its child themes does very well. I have been using DIVI on client projects and like it. I agree with Hayley that there are some issues, SEO integration with Yoast tools could be better handled, load times are a bit of an issue on long form pages, sometimes it is very slow to work in admin waiting for the design tool to render on each update. One big issue I have run into involves trying to copy any of the other elegant themes templates into DIVI. ET provides the PSD files for each of its past themes so you would think it would be a no brainer slice and dice the images and merge them into a DIVI build. But it is a difficult challenge to even get close to matching their other template designs. 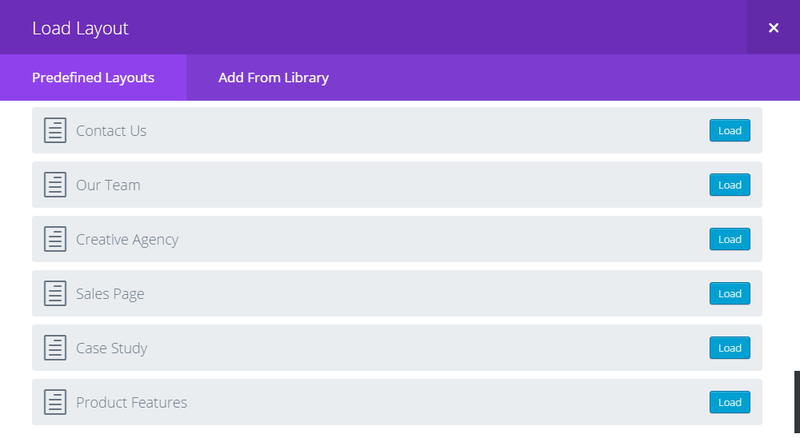 I don’t see a market developing for library imports of template designs for DIVI. I have asked on the support forums and on blog post about this issue and have yet to receive a response from their team. You would think that a great way to sell the DIVI theme would be to offer the ability to import any of their other themes to DIVI. By the lack of response I think I’ve confirmed this is not an easy problem to resolve. Having also used Genesis in the past I think your comparison is very fair and accurate. I have always liked the child theme approach as it preserves your modifications as WordPress and the core theme versions forward. DIVI is very frustrating in this regard as there is no native support in the framework to spawn a child theme and then push modifications to the child. You’re expected to know how to handle this yourself, and while its not a big deal to setup a DIVI child directory, it is not something most people know how to do themselves. Thanks for the great topic and write up. Divi is about to launch a plug in that will allow us to use ANY theme by ANYONE and use the Divi builder. As opposed to importing the theme into Divi. I have asked about ET automatically creating a child theme to work in/on so that one NEVER uses the original theme but I got no direct answer or response. I heard the new plugin should be released around pretty soon now. Maybe even next week! I like both. But there’s a problem with Divi I don’t see mentioned here: all content is stored inside shortcodes, making it very hard to ever change themes. This article by Chris Lema explains this http://chrislema.com/divi-theme-forever/ , but it’s more than a year old, and I’ve heard that ET released a plugin to deal with this problem. Still, I defintely wouldn’t build a site with Divi unless it’s VERY light on content. It’s not just a matter of having the abilities. Coding takes time. Time is precious. I don’t want to spend my time working on the web site. Instead, I want to spend the time doing things that help support my audience, deliver my message and facilities some earnings as a result. If I have to tweak the theme with code, why did I buy the theme in the first place? It failed to do its job. But doesn’t every theme need to be tweaked? I’ve used some 100 WP themes and have never found one that fit any job exactly. Tweaked, yes. Coded? No, not at all. There is a difference between making changes through an interface and writing CSS code. Most users will prefer the interface approach. Some, perhaps. Common things like changing your font or color shouldn’t require CSS coding for the end user. It’s a failure of StudioPress to support people who want to USE the system, not develop it. Hi, I use mainly Divi for all my client’s projects now. The builder is really impressive and very fluid. The front end and the backend are fast. And you can customize easily everything you need by overriding or creating new modules. The only problem I see with Divi is that the content created with the Divi builder is not friendly searchable with search plugins like search everything. I didn’t try to use it with searches like Instant+, maybe it works well. I think Genesis and Divi are good but Divi fits 90% of my needs easier. It’s working with WordPress basic search but not an enhanced search. I did a very simple test on a test website with Divi 2.4. I wrote some posts and pages with categories, content and terms and try searching on keywords. I didn’t success to enjoy a full search on everything due to the serialization of the Divi page builder. I think it could be interesting to see if it works with remote search. Hope they will work on this point because Divi will be useless for a lot of websites. I’m not a WordPress expert. I’m wondering what you mean by WordPress basic search? Are you talking about search engines, Google and Bing? – he’s referring to the default, built-in WordPress search functionality that allows users to search for something – like an article say – within a WordPress-powered website (provided the site designer has included a search box somewhere on the website). Just found this article and very timely. I’m currently on a themeforest theme that I’m pretty happy with, but looking to move to something with better support and more flexibility. It’s supported by the author, who does try his best, but I really want a “company” behind the theme with a larger support network. And the theme hasn’t had any updates in months and months.. but the author just released a new/different theme, so I think all his time is really on this new theme, not the one I bought 2 years ago.. I have Genesis up on a sandbox site and have tried out a few of their different site themes (a developer I know is letting me test it out – haven’t purchased any yet). Genesis seems nice, clean, and simple, but it is extremely limited. For $100 (Genesis framework plus a child theme), I get just a basic ‘shell’ of a theme. I’m not a coder (I’m a blogger with some very, very modest HTML and CSS skills). In Genesis, no ability at all to change fonts, header styles, or anything. If I want to customize even the basic elements, I need to either hire a programmer to customize the theme or add a lot of custom CSS, or I need to pay ANOTHER $50 a year for Design Pallet Pro to allow me to customize that (so now I am up to $150 for just a basic theme and some “paint”). My current theme forest theme has a nice set of built-in shortcodes (accordians, pricing tables, buttons, etc.). I don’t use a TON of these, so changing themese isn’t a huge deal, but there is NOTHING in Genesis. So, now I need to find several plugins to provide this equivalent functionality. And that means another plugin provider (or two, or three) that I need to worry about. Will they maintain their shortcodes? 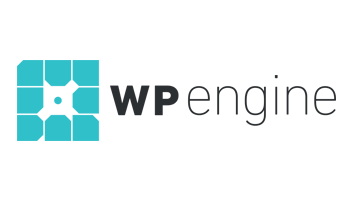 Will things break when there is a wordpress update? And if I go for a Premium shortcode provider, lets add another $50 to $100 a year for more support costs.. So now I am up to $200 for a theme, some paint, and some helpful shortcodes… (and $100 of that is a yearly cost). Don’t get me wrong. Genesis has its place.. and it is SEO Friendly and FAST.. But I need to spend my time building content, not “tweaking” code or chasing down plugin-in incompatibilities or trying to get support from 5 different products. So, next on my list is to get Divi and try it out… They don’t offer a “trial”, but they do have a 30 day money back guarantee. Yes.. Genesis is probably GREAT for theme DEVELOPERS, but for a blogger like me, I think I would be “lost” with Genesis.. and just end up with a ‘bloat’ of plugins to try to fill all the gaps. 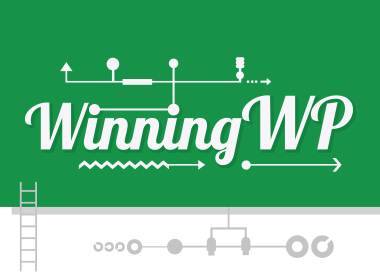 So, Divi seems like it may be a perfect fit for me..
@WinningWP:disqus your article make my day. You’re helping me a lot to choose the best solution for me, thank you very much. I just suggest you to edit the “Best Value for Money” section to put more emphasis on difference between yearly fee DIVI basic plans and 1-time-fee (lifetime) Genesis purchases. I mean the $249 “Lifetime Access” DIVI plan price is by far higher than $59.95 one-time Genesis Framework fee or $99.95 one-time Genesis Framework + 1 theme fee. I’ve used Genesis a lot in the past, along with Divi and Headway but I am also a huge fan of TemplateToaster. It’s certainly a good idea to experiment and build your first themes from scratch. Nowadays, I use the templatetoaster framework to get a headstart on my WordPress projects. It’s very hard to choose between the two but I’ve decided to purchase both. Why would I do that? Well, I am a web developer and would benefit either way when it comes to building sites for clients. It would cut down the time to create unique design for each client website compared to my previous ways of theme designs. I’ve been using Artisteer and TemplateToaster to develop unique themes/websites for WordPress. The negativity with using A or TT is that they require one to sit down and spend a lot of time perfecting the theme/design. However, the workload with Elegant and Woo decreases drastically and would save a lot of time in setting up the sites. I am Joomla user and now I am planning to extend to WordPress, this article helps me a lot, thank you. I have one question – If I use Diva and make customization, what will happen if I update Diva? All my customization will be gone or my customization will not be effected? I read that beaver builder enables Genesis to be drag n drop making it even more on par with divi and easier for no coders. This was an interesting read. I would like to point out that I am a coder and I use Divi on about a dozen sites and every one uses a child theme. I felt like this articles was really focusing on the child themes with Genesis and that power, and never mentioned using child themes with Divi as Genesis does. 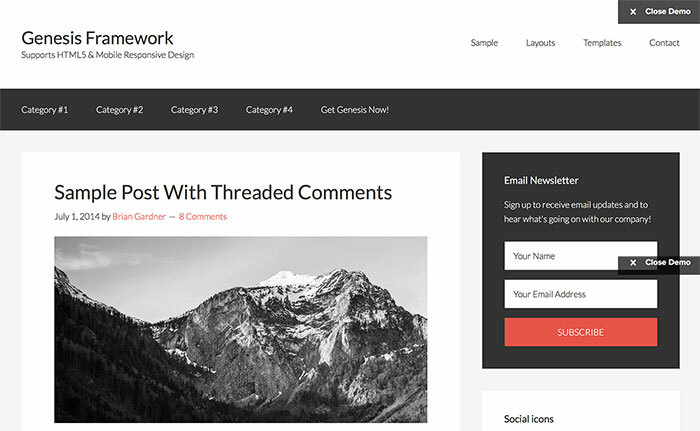 Take a quick look at other WP theme framework TemplateToaster. Divi and Genesis are quite complicate and expensive platforms. I am wondering if DIVI is really secure and good for SEO as can be Genesis? I have always uses genesis cause I Know it´s good in that point. If you have the answer…so, you made my day! Bottom line to me (and I am forced to use Genesis on one client) Genesis prevents proper WordPress practices of creating a child theme yourself and doesn’t appear to have a built in builder. I code but I like Divi Builder and for the lifetime all themes sub it’s much cheaper at $250 vs. $500 (or less if you have purchased a Genesis theme). The only people who benefit from Genesis forcing child themes on us (and preventing us from making our own) is Genesis. They can simplify codebase management when they should be able to push their “framework” out to all their themes like other developers do. I’m working on Divi since only 24 hours but I’m not sure to continue on that. The graphical editor is great, but there is no way to build templates for single posts and search pages. And the most part of the layout is not graphically customizable. They advertise great customizability, but you have to put hands on css and code very soon, as any other builder. Joe, I’m thinking of changing webhosts to a dedicated WordPress host that gives additional support for the Genesis theme. Currently, however, I’ve been using Divi for the past year. Do you know how complicated it would be — and how much of a mess I’d have to clean up — to switch from Divi to Genesis? I have two sites on Divi, with this one being the one I’m planning to move first: https://guide2ravel.ca Thanks for any insights you can provide!